Recommended by Beauty Expert Stacy Cox! Get your glow on. Made from the tiny black seeds of the sea buckthorn berry, this oil packs a nutritional punch. 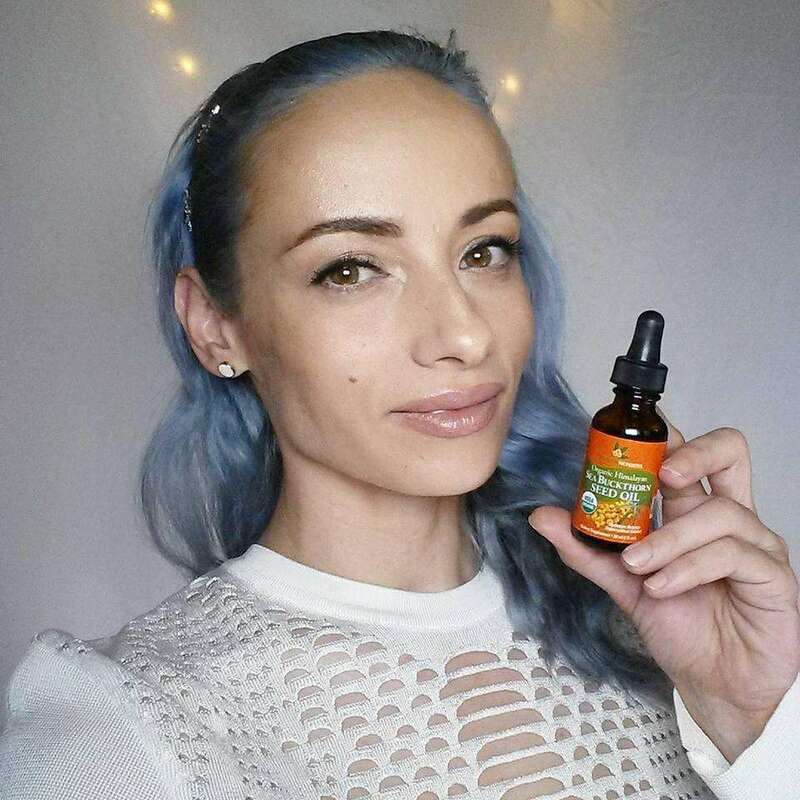 Sea buckthorn seed oil is a traditional herbal health and beauty supplement. This natural, plant based oil addresses many needs and has many uses. 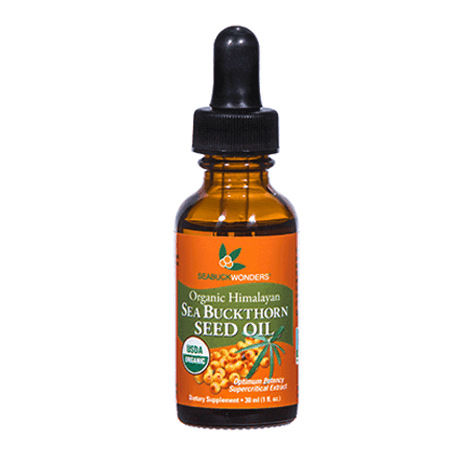 Sea buckthorn seed oil is versatile as an oral supplement or topical skin care treatment. 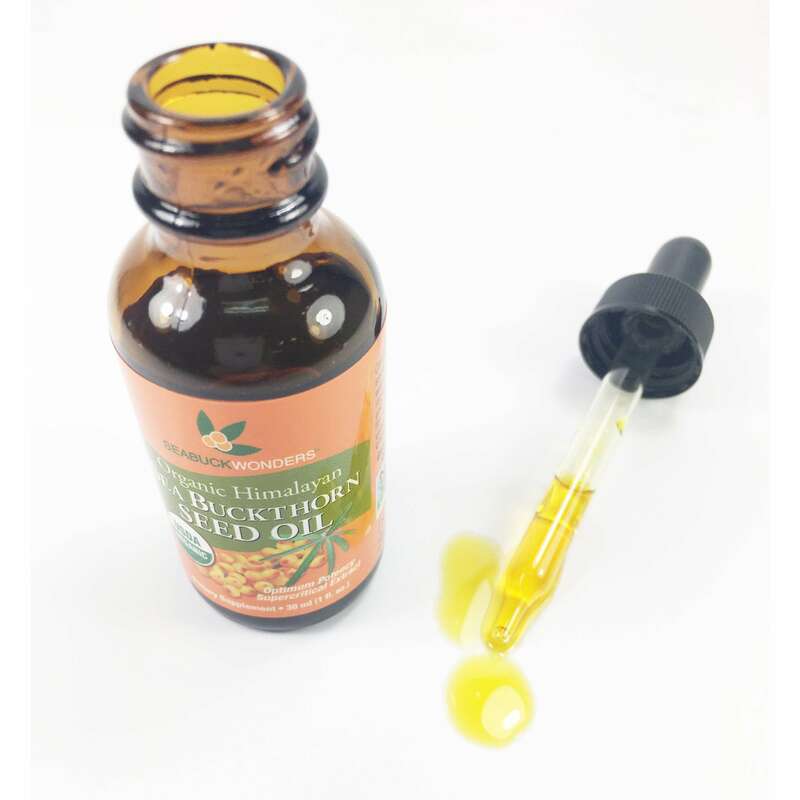 Pure sea buckthorn seed oil is rich with Omega 3 fatty acids. The Omega 3 and 6 ratio is a near perfect 1:1. It's one of the most perfectly balanced source of Omegas found in nature. 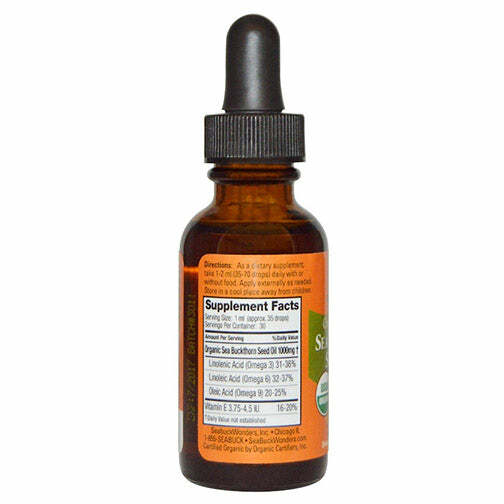 For internal use, take 1-2 droppers by mouth daily. Apply to dark spots and wrinkles topically for luxurious daily skin support. I have dry skin and it is winter and my skin is soft. Also a game changer for the ‘downtown’. If you try it you won’t be disappointed! Hello, We have a private sea buckthorn crop in the Tibetan Himalayas- on the Tibetan Plateau. 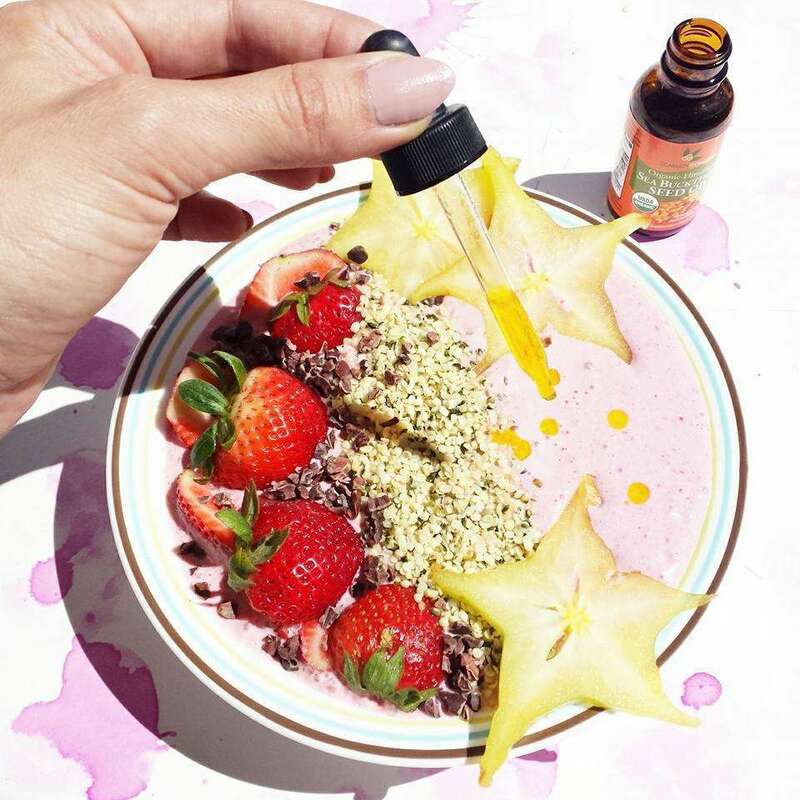 Our oil is created with the berries and seeds grown there and it's the basis for all of our products. Thanks!